Each year, the CEC’s Board of Trustees approves new Board members, who are then presented to the general membership (CEC parents and employees) for confirmation. Most people vote through the proxy process. This voting process is a simple and extremely important moment for the CEC organization, since the CEC Board is responsible for the governance of the organization, ensuring its fiscal health, and remaining true to the CEC’s vision and mission. The members of our Board, led by CEC alum parent and newly-elected Board President Katie Fallin Kenyon, are a highly engaged, committed, and caring group, representing a broad range of professional skills and expertise. To learn more about each of these members, brief bios are included here. Sandy Bordi (2017-2018), who provided a vital connection between the Parent Council and the Board of Trustees as Co-Chair of the CEC Parent Council. Continuing with our ongoing series of developmental and learning theorists, I have asked Ellen Veselack, the CEC’s Preschool Director, to provide background and detail about Len Vygotsky. As we have been sharing, the CEC pulls from a variety of theorists to build our philosophy and practice. Lev Vygotsky, a Russian theorist in the late 19th and early 20th century, has been an very influential theorist for early educators. Two of his primary theories assist us in understanding and supporting young children’s development. The first is the theory that children operate in a ‘zone of proximal development’ which is where they are in the process of learning a new skill. They are working on it and on a continuum moving towards mastery. Like climbing a ladder and moving from rung to rung, children move from one developmental rung to another. We can certainly watch this in children, whether they are infants working on rolling over or preschoolers mastering fine motor skills to write letters. Children work in their zone of proximal development until they master their skill and begin working in their next zone. Vygostky's other theory that is widely known and used in the early childhood field, including at the CEC, is the concept that all children need a peer or adult to help them move from their current zone of proximal development to mastery. He used the term ‘scaffolding’ to describe this phenomenon. Rather than directly teaching, the idea of scaffolding is that the peer or adult helps support the child through encouragement, provocations, questions, and modeling. This scaffolding process allows the developing child to more fully understand their own process, develop more fully, and truly come to mastery. 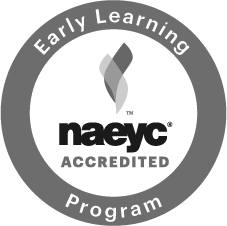 The CEC’s play-based approach allows the teachers to more fully scaffold children’s learning as they work with children in small groups and individually. It is incredibly rewarding to watch children reach milestones and mastery and know they did it themselves!